The book is for web developers, programmers, enterprise programmers, engineers, big data scientist, and so on. 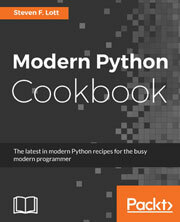 If you are a beginner, Python Cookbook will get you started. If you are experienced, it will expand your knowledge base. A basic knowledge of programming would help. This book takes a recipe-based approach, where each recipe addresses specific problems and issues. The recipes provide discussions and insights and an explanation of the problems.